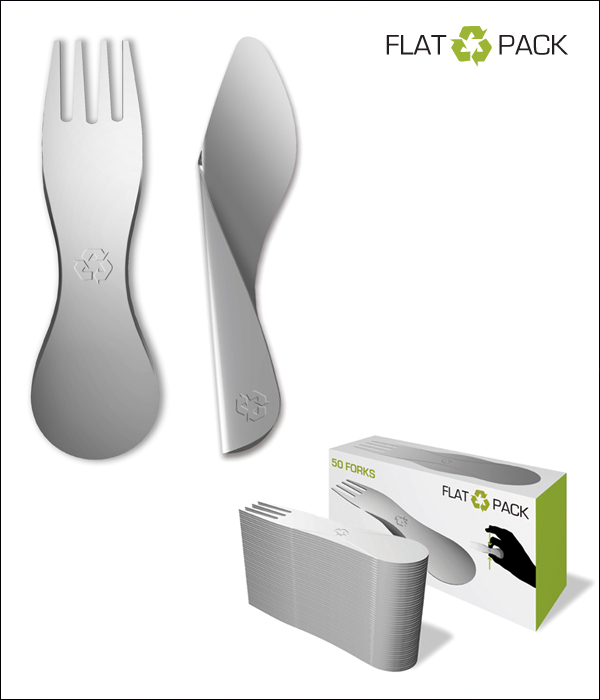 A flat-pack cutlery set made of 100% recycled sheet aluminium for eating at work, pick-niks or parties and buffets. 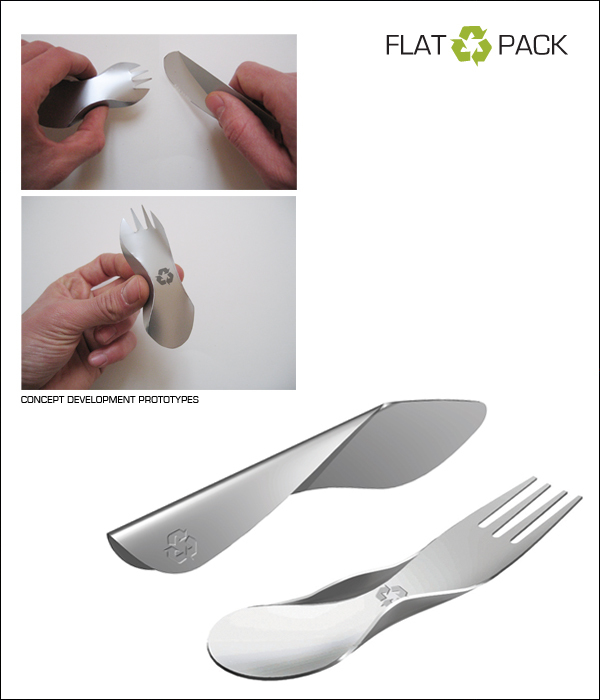 Concept: the malleable property of aluminium is used to give flat objects a three-dimensional structure by simply folding them. 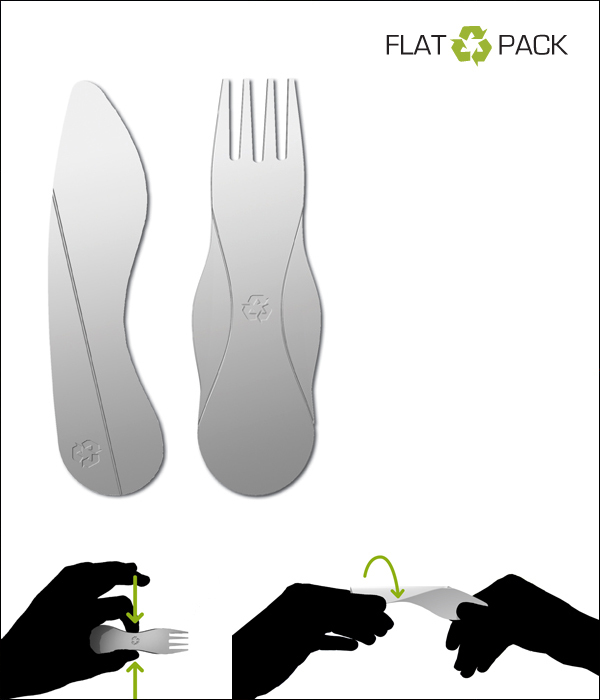 Once they are folded they become ergonomical and resistant.